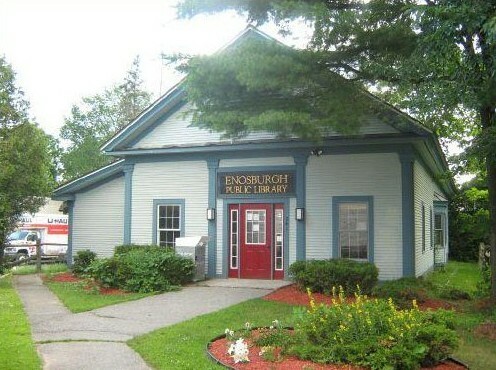 The Enosburgh Public Library promotes reading and literacy for everyone in the community, provides a safe and welcoming environment, and offers current and significant material as well as information resources. ← Look Who’s Coming To The Library?! We will be closing at 2 p.m. on Saturday, December 24th and will be closed Monday, December 26th. We will reopen our normal hours on Tuesday, December 27th. We Had A Great Group for Paint & Tea Last Night! Everyone had a great time at the Stuffed Animal Sleepover last Friday evening! It was quite a party! It’s Time For The Stuffed Animal Sleepover Again! We Will Be Closed on Tuesday March 5th for Town Meeting Day. The library is located at 241 Main Street in Enosburg Falls, VT, right behind the Town Clerk's office. Saturday 10 a.m. - 4 p.m.